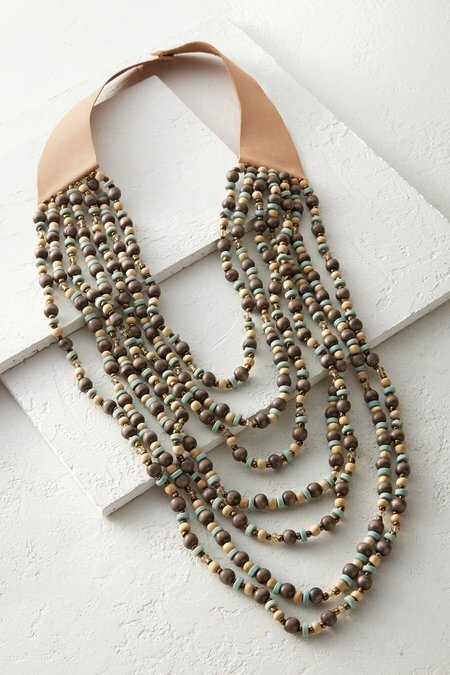 Glass crystals glisten among gray and blue wood beads in this earthy, artisan-crafted necklace. The tiered strands fall from a hand-cut raw leather piece that will age and mellow over time. 28" long, first tier of beads at 11"